The highly-engineered AAM Competition Fuel Return System - Basic is a great stepping stone for anyone who wants the reliability of a Fuel Return System on a budget. With the ability to support 450rwhp, this system is very similar to our prestigious AAM Competition Fuel Return System but utilizes the factory fuel rails (the AAM Competition Fuel Rail Return System comes with two Billet Fuel Rails and converts the factory fuel flow through each rail simultaneously). 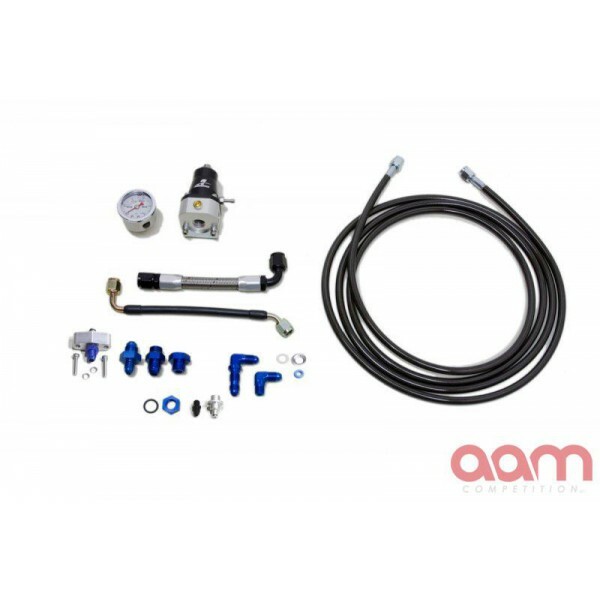 The AAM Competition Fuel Return System - Basic for the Nissan 350Z and Infiniti G35 is a direct bolt-on kit that converts the current factory ''return less'' fuel system to a full return fuel system. The ''return less'' system in the 350Z & G35 offers minimal adjustment to the amount of fuel the engine can receive. This type of system is cheaper for the factory to manufacture and works okay in a factory naturally aspirated setup, but has several draw backs when you go to forced induction. One negative aspect of the factory returnless system is that the factory fuel pressure regulator is installed in the fuel tank. The factory fuel pressure regulator does not allow fuel pressure adjustments and is incapable of holding consistent fuel pressure with most aftermarket fuel pumps. The factory fuel pressure regulator is also unable to add fuel pressure under boost. 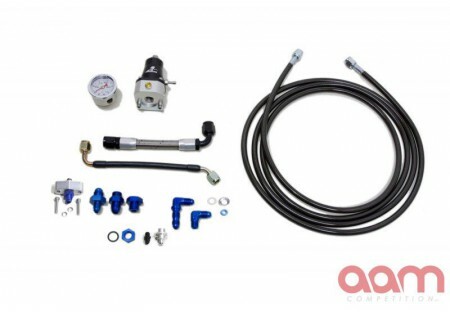 This system is a must have for any forced induction supercharged or turbocharged vehicle and any big shot nitrous vehicles because the AAM Competition Fuel Return System removes the factory regulator's control of fuel pressure and replaces the control with a vacuum/boost sensitive adjustable fuel pressure regulator. This allows you to adjust both the level of base fuel pressure and increase fuel pressure under boost.